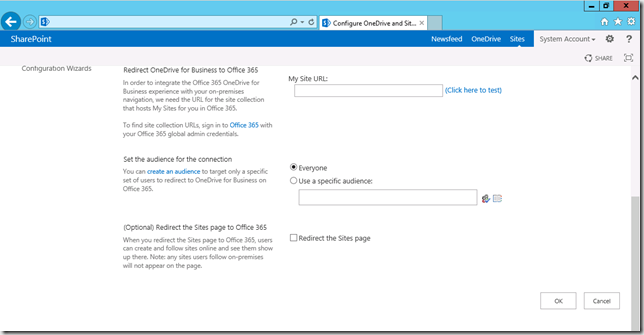 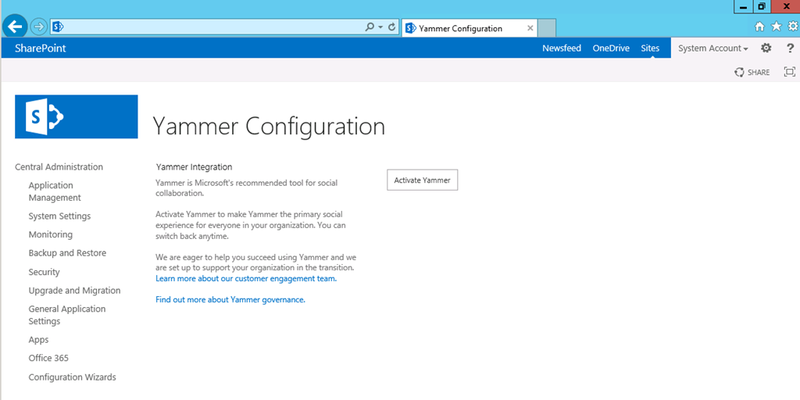 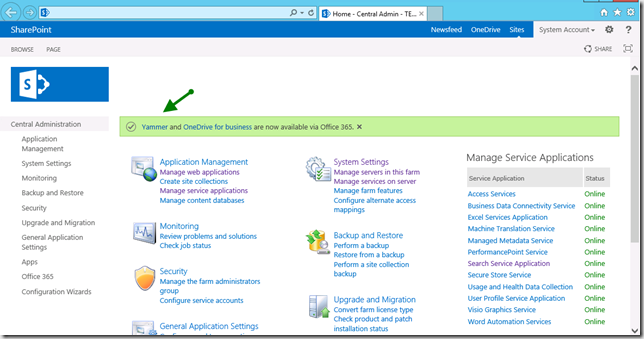 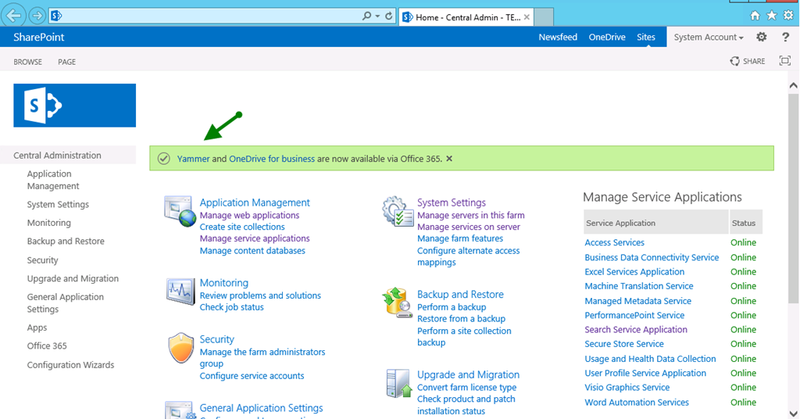 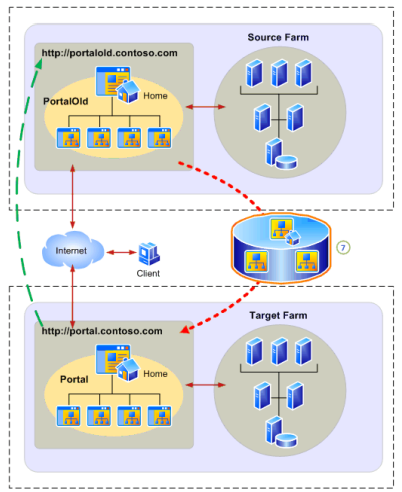 After patching with Service Pack 1 (build 15.0.4569.1000) I noticed a few new menus in Central Admin for connectivity to Office 365 Yammer and Sites. Pretty cool stuff. Screenshots below.